It's great for a regular daily driver but also is a great pull truck. 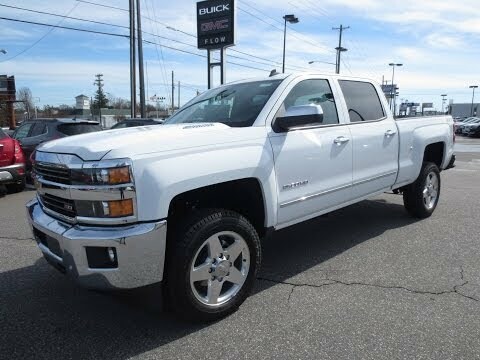 The Chevrolet Silverado is a very reliable and comfortable vehicle. I have not had any complaints about it in the 2 years that I have owned it. I love the display set up and the option to get Wifi, XM radio, and all the OnStar options. Another thing that I love about the truck, is the fact that the back seats fold up, giving me lots of room when grocery shopping or hauling something. It gets on average 14 mpg, which is pretty good in my opinion for a 3/4 ton truck. If you have to haul things around, this is the vehicle for you. It is heavy duty, 4 wheel drive, and tough. If you live in a rural area, this is what you need. Rides comfortably, performs well, does get decent gas mileage as well. It has in cab navigation, and the ability to use Pandora, XM/Sirius radio. OnStar is also available and if you are driving alone, it is good to have. It also keeps you informed of any issues your vehicle may have. Great Truck! The truck have a lot of room which is good. I really do not have any problems with my truck, it runs good and the gas mileage is not bad for a truck. I really like the seats, they are heated and that is really nice, it does not take long for the truck to heat up or cool down. There is a lot of room in the back seat which is really good for me because I often have a child or friends riding in the back.